Choosing the right lenses for your photo arsenal can be perplexing and expensive. After a basic lens, the most common lens that people usually buy is some sort of telephoto lens that often is a zoom telephoto. I use these lenses all the time and the 70-200 f2,8 IS from Canon is my workhorse. But many people do not realize the importance of a wide angle view or even a super wide angle view. I love to shoot super wide shots and one of the benefits of having a digital camera with a full frame sensor is that you can shoot incredibly wide shots that are sometimes breathtaking. There are different focal lengths for wide angle lenses but if you want to try something different, shooting super wide can open up a whole new world. The following three images were all shot with my 14mm Canon f2.8 lens, which was very expensive. Other manufacturers make similar lenses that cost much less but can give you similar results. 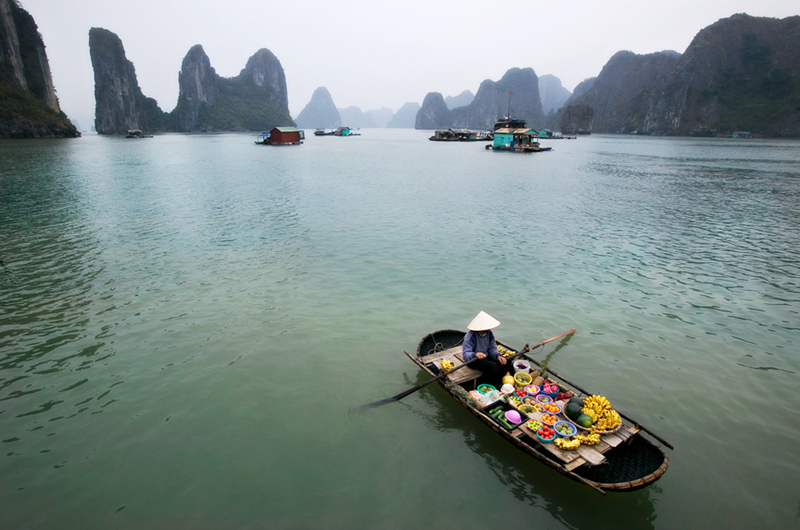 I travel with my 16-35 wide angle zoom and also with my 15mm f 2.8 fixed lens but many times also take my 14mm lens. The 16-35 is another workhorse for me but the 15mm gives me an incredible amount of curvature and distortion in the images because it is not rectilinear. The 14mm lens is rectilinear and is about as wide as you can get with no distortion. For the ultimate in wide angle shots, you can always make a panorama shot with multiple images, but if you want to capture as much as possible in one frame, then super wide is your ticket. Super wide shots give you a totally different feeling than backing up with a normal wide angle lens. 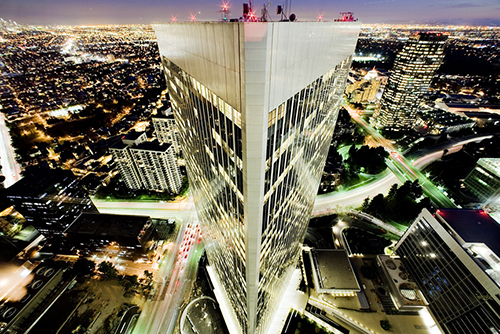 The second image of the south tower of the Twin Towers in Los Angeles was shot vertical from the roof of the north tower. These buildings are the sisters of the Twin Towers in New York and were designed by the same architect. I wanted to get as much as possible in my frame and so the 14mm was what I needed. The last image was in Burma when I had spent the day with seven amazing monks that I had “borrowed” from a local monastery. I had also asked for seven parasols, which I knew I would use somehow in some of my shots. I decided for one of the shots to get down on my back near a temple and asked all of the monks to circle around me and look down. I had put on my 14mm lens knowing that I would need as wide as possible lens so as to not cut off any of their faces. The 14mm was the perfect choice for the job…..and I was completely happy with the result. Super wide angle shots are like nothing else……and well worth the investment! It’s about time you got a blog! Thank you for your amazing pictures and descriptions for them. I look forward your next masterpieces. I wonder if you teach some on-line photographic course. so sweet of you to say those things. When you love what you do….sometimes it shows.. and I love to shoot! So many ideas…and so little time . btw..I use to teach online, but no longer. Teach many classes in LA and also travel workshops too…..which is fun. I’ve been a fan of your work and style of photography for over 2 years now. I am an elementary school teacher and show your pics to my students all the time. Was wondering if you were ever planning on teaching any workshops here in Miami, Fl. Would love to attend! I saw your name in the PhotoFlex email and wanted to say you have a new fan. Your work is breathtakingly beautiful! I’m glad PhotoFlex shared you with! Thank you Charlene! So nice of you to say that. I do use a lot of Photoflex gear too…all over the world. Gear helps a lot to get the right shot so it’s nice to have their support! anyway….. thanx so much for the nice note!!!!! was also when I got my first camera. At age 10. Hope some of them start at that age too. A great age to go out and bring your imagination to life. Not planning on teaching in Miami but would love to come and say hi to your kids if I did….. I love Miami..Been a long time since I was there. anyway……thank you so much for writing and your kind words!!!!! say hi to your students……K?? I am a budding photographer, and I just wanted to say that your work is amazing. Incredible. I LOVE the Eiffel Tower pic. I have so many favorites I would be hard-pressed to choose just one. You are an inspiration, and I will keep coming back to your site to view your masterpieces. BTW, I thought I should mention that I tripped, or I should say “Stumbled” over your site and I am so glad I did! True words, some true words dude. Thanks for makin my day. Hi, your photos are so beautiful and bring so much life to the subjects. I was particularly interested in your many photos from Burma. I was wondering if you were aware of this country’s turmoil. Do you see the people that are hunted in the country? I know photography would be a great tool to make people aware of the inhumane atrocities that are happening in Burma at this very moment. This is just a sidenote of course, not to detract from the amazing work that you do! I just listened to your great (October) interview on LensFlare35 today and reviewed your wonderful website. I agree with your enthusiasm for wide angle lenses. Are you using Canon’s new 14mm II lens or the older version? Do you think that the new version is worth the cost if you already own the older version? Do you notice any less lens flare with the new version? Are you planning any workshops in Seattle or Portland (OR) in 2010? Thanks for your advise and for sharing your insights with other photographers! I am always looking for recent posts in the internet about this issue. Thanx. Not sure if there is less lens flare on the new one. But I bet there is less. Will be doing a small guest Photoshop lecture at Art Wolfe’s Digital Photography Center early in 2010…but not much else up in the North. 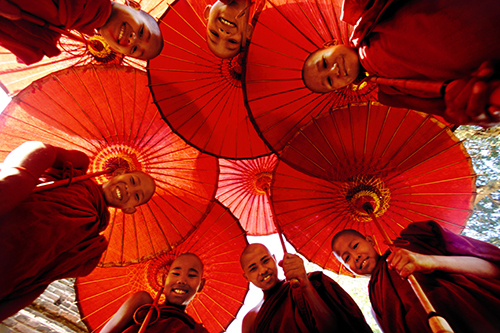 Planning a great trip to Burma late in 2010….. hoping to get some good people to come along!! was nice to see what you wrote!! thank you for that. And yes…I know exactly what is going on in Burma. I have friends that live there.And they fill me in with everything. in people to see their culture and help them out. My tour there later this year I hope will help out also…. Burma is the best!! Thank you Shari!! I love that Eiffel Tower shot too. Shooting in Paris is the best. Always different and so much to capture. Really appreciate your kind words.. I am 16 years-old girl from Germany (my English is not so well :D) and I am so fascinated by your photos. Are you working with any affects? I love your photos from Africa… So beautiful. Is there any option to get these photos? how is life in Germany? Have not been there for a long time. Africa is one of my favorite places for sure….nothing like it anywhere else. Hello, I am a “budding” photographer(more hobby and love than anything), I am shooting a friends wedding(not her first, very INformal) and I just purchased a wide lens for my Nikon D40…my question is, what is the best situation for the wide lens? Is this a good lens to capture shots at an informal wedding? She just wants candids throughout the ceremony and reception. ANY advice is welcomed! I love love love the tower picture….it is awesome! so, since your sensor is not a full frame sensor…then your lens is not a true wide angle probably….so the lens will probably work just fine Tammy…..
Candids are the best at weddings…..less posing..and more not when they are looking at you shots……the best kind. don;t forget to convert some to B&W afterwards too. I love B&W wedding shots. Try not to use the flash too much too…just bump up the ISO and keep an eye on the light. go get some great images now!!! I have a few questions comments. Frist, I’d like to say that I think you are world’s best photographer! Not only your images are incredible (ALL OF THEM) but you don’t have that cockiness and you share your thinking behind your photos and many photographers like to keep their secrets to themselves. So for that, for sharing your thinking what lens to choose and what lens you chose – Thank you. 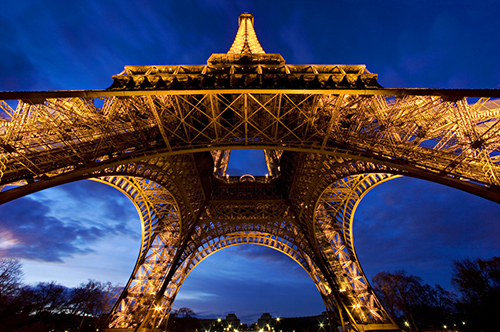 My first question is : The Effel tower wide angle – is that an HDR image? The colors are so amazing or did you just play with it in Photoshop? My second question is : Do you plan to create a dvd workshop for people who can’t afford to travel to your workshops? Buying a dvd or selling individually taped lessons might be a good idea for noob photographers like myself. I love shooting……and glad it shows! so…Not sure what Eiffel Tower image you were asking about…I have done some HDR in Paris…and most are not HDR….. but a great place to do HDR fun stuff!! and your idea on a DVD is a great one!! thanx for that… I want to an eBook first……..but it might be on Burma….